Previous Article Who is this man? A BOOK which tells the story of a Helensburgh couple who were both noted artists was launched at a reception in the burgh library on April 19. 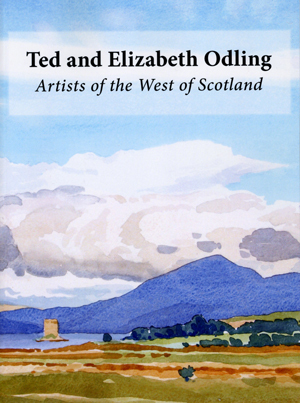 ‘Ted and Elizabeth Odling — Artists of the West of Scotland’ was put together over three years by their children, Noelle, Christopher and Nicholas. It combines their life stories with many examples of their work. 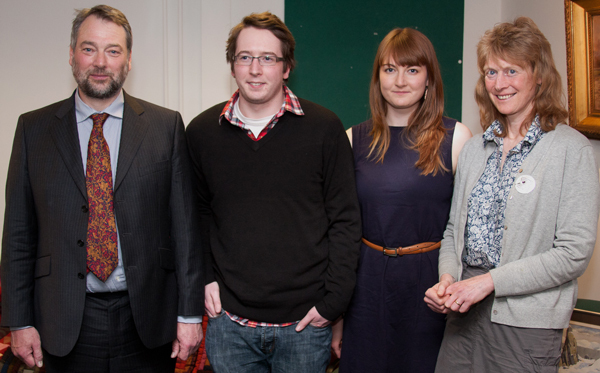 The formal launch was conducted by Nick, from Port Seton, East Lothian, accompanied by his wife Kate, son Gylen and daughter Morvern. Nick told how his parents met at Glasgow School of Art in 1949 and married three years later. They lived and worked on the west coast throughout their long careers as artists, both at Glasgow School of Art and as freelance artists on commission. The book, which contains many examples of their work, is published by Walker Fine Arts, price £15. 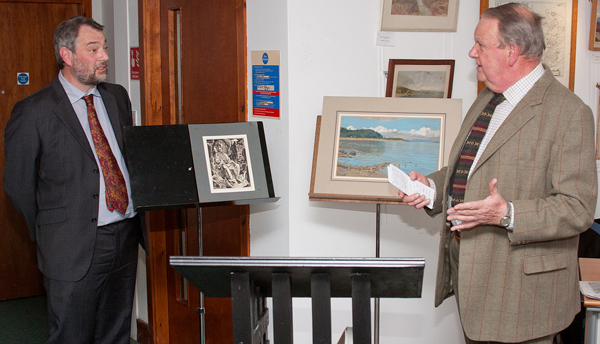 After the book launch, Nick presented a painting by Ted and an engraving by Elizabeth to Bill Anderson, chairman of the Anderson Trust Local Collection, who promised that they would be hung in the Trust’s 2013 exhibition in the library.